Deciding to install a pool is a substantial financial decision and can seem a bit scary at first. And there are so many other decisions you have to make: which builder to go with, the colour, shape, chlorine or salt water pool, where it’s going to go, whether to go concrete or fibreglass… when you don’t know the first thing about installing a pool, you just don’t know where to start! Firstly, the surface of a fibreglass pool isn’t rough and abrasive. Forget scratched up fingers and toes – think smooth and safe. There are no sharp or dangerous edges when dealing with fibreglass. Rest assured your pool will not turn into a “blood bath” after one swim! And that’s definitely not what you want! Secondly, choosing fibreglass doesn’t limit your choice as to whether you want salt or chlorine. Many people are opting for a salt water pool. They’re more economical, don’t make your eyes sting, don’t give off a chlorine smell, and (some people say) feel nicer. Salt water is compatible with fibreglass. Plus they allow you plenty of choice, with fibreglass pool shells available in a range of colours, sizes, and shapes. You can even get a black swimming pool! Most options are covered unless you are planning on something really wacky – like a moat! Most of the time, what you want is fairly standard. Fibreglass pools come in an array of sizes and shapes! Fibreglass pool shells are covered in a non-porous “gelcoat” during the manufacturing process. There are many gelcoat colours to choose from. This means after the pool is in the ground, you don’t have to worry about tiling, saving you time and money! (Although, if you prefer the look, tiling is still an option). The gelcoat is smooth and glossy and gives the surface of the pool that silky texture concrete pools cannot boast. It also resists stains and cleans easily. Plus under normal conditions, you will never have to worry about re-painting. In some cases your pool is already sitting in the pool yard, built and ready to go. If it’s not though, your chosen pool will look as it does in the brochure. You don’t have to spend time designing your own custom pool and hoping the pool builder gets it right. For impatient people like us, probably the best thing about fibreglass pools is the installation time. 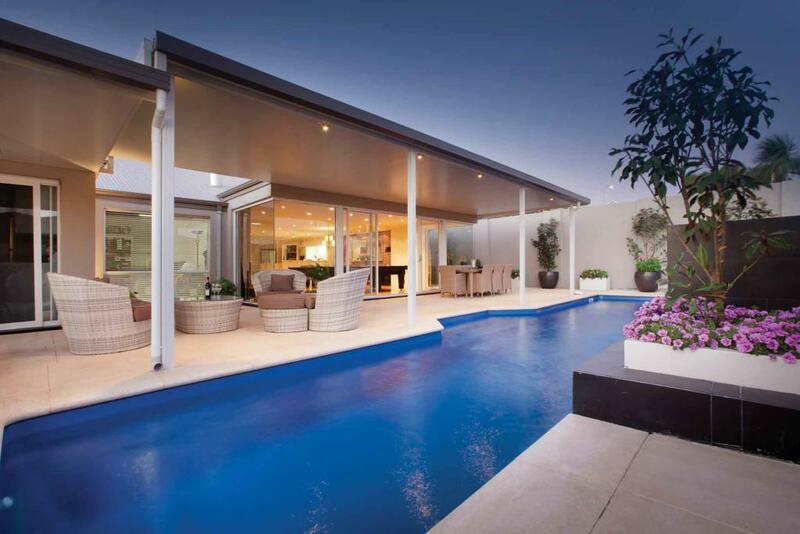 Of course, as with any pool installation, council approval is required. But after this process your pool can be installed in as little as seven days. Unfortunately, a concrete, rendered or pebbled pool can take up to 3 months – and imagine the mess in the meantime! Fibreglass pools look great all year round! Fibreglass pools are built tough while still having enough flexibility to cope with typical earth movement without cracking. Concrete and other pre-formed pools contain mineral fillers which reduce their flexibility. Check the warranty with your chosen fibreglass builder too for peace of mind. Dollars and cents are important. You want what you want, but money plays a big part in the final design choices made. Which is why it’s important you get fixed costs. This isn’t specific to fibreglass installers only – you have to check this with any pool company, whichever way you decide to go – fibreglass or not. Australian Outdoor Living ensures all quotes are transparent so there are no surprises down the track that may blow out your budget. There are so many benefits when it comes to choosing fibreglass. 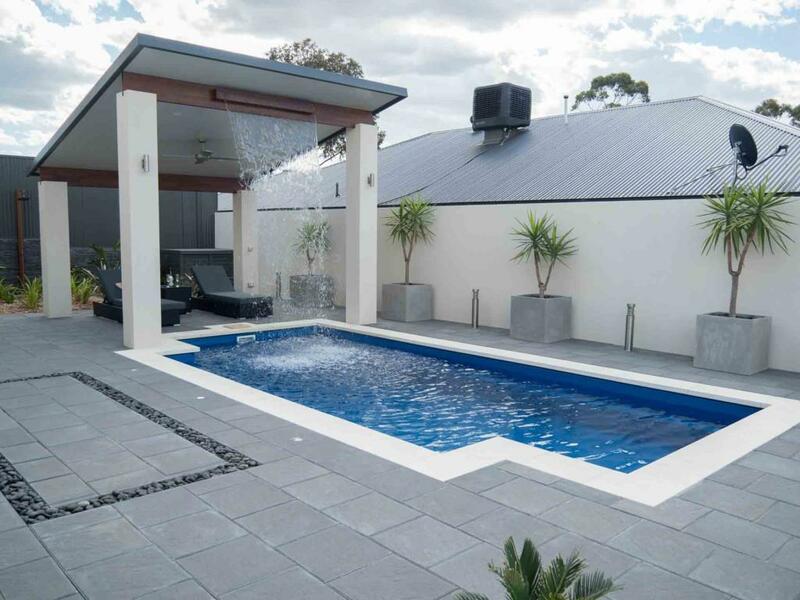 Fibreglass pools have come a long way over the years and can look just as good as concrete options – and at a fraction of the price. A lot of things have changed, but quality is quality. 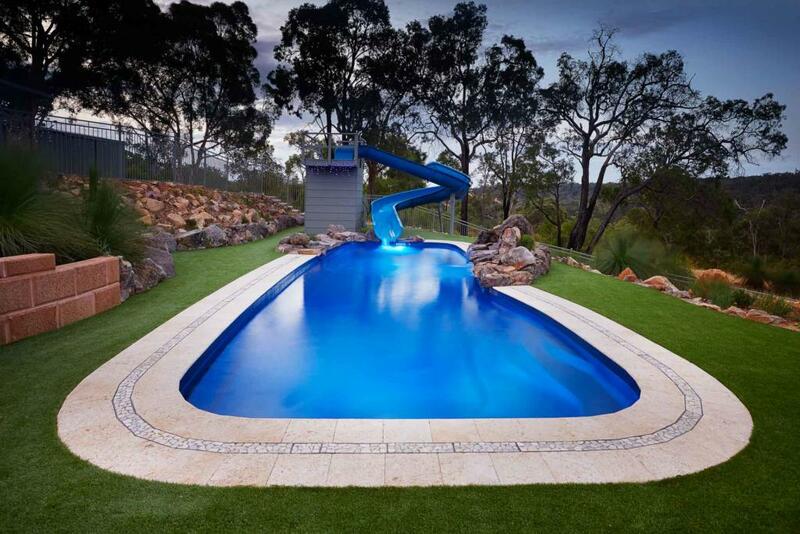 Australian Outdoor Living are the exclusive dealer for Barrier Reef Pools, a highly reputable manufacturer building swimming pools that exceed Australian and world standards for thickness. Choose from our range of fibreglass pools!